Following the demo with Tolia, I am convinced that San Francisco-based Nextdoor is the next big thing, because in our increasingly isolated, online world, it is bringing community back to more than 700 neighborhoods around the country – and that number is steadily growing after only 2 months of going live. Their key differentiator, which really sets them apart from mainstream social networks like Facebook and Twitter, is the complete and total privacy each website enjoys. You can’t log in unless you’re a member, and you can’t become a member unless you verify your physical address. So, how do addresses get verified? You can request a postcard be mailed to you with a unique code that you can use to gain access; if your phone number is listed, Nextdoor can do a reverse look up; you can verify with your credit card (there is a $0.01 charge), which will show your billing address matches your home address; or previously verified neighbors can vouch for you. 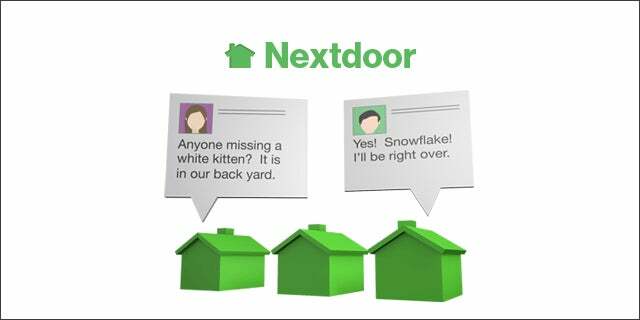 Each neighborhood website includes a map that shows who is on Nextdoor. You can access neighbor’s info – their profiles contain as much info as they care to share – and there is a neighborhood directory included. Like Facebook, there are tabs that organize information, like recommendations – all of which get tagged so you can instantly see what electricians your neighbors recommend – and there is a buy/sell/free tab that serves as the neighborhood’s Craigslist. You can also create calendar listings for events. Because most neighbors don’t know each other, you can invite neighbors using more than just email. You can print and distribute flyers or request that Nextdoor mails postcards (yes, Nextdoor actually prints and mails the postcards). I got to tour neighborhood websites (including Menlo Park, CA, Hamilton, NY, and Arlington, VA) that gave Nextdoor permission to use them in demos. For all of you curious to learn more, watch the video below!